The OnePlus X is probably the first time that OnePlus has really deviated from their design language. Yes, the OnePlus 2 was different from the OnePlus One in a few obvious ways but the basic shape, ergonomics etc remained quite similar. While it did feel like an improvement, people could still probably tell that it was a OnePlus device especially when they touched the sandstone back. The OnePlus X on the other hand feels totally new. The design of the OnePlus X has both glass at the front as well as the back on the Onyx version and a Ceramic back on the Ceramic version. You’ll have to admit that the OnePlus X does remind you quite a lot about the iPhone 4 and 4S but in a good way. The design feels really premium, perhaps even more so than the OnePlus 2 despite being a lower end handset or rather something that is priced lower. The build quality is really great and it feels great to handle thanks to the small size. While, phablets are slowly becoming more and more accepted by people, there are still quite a few who love handsets that are around 5 inches in display size as it is considered a sweet spot. Despite being a person who loves big screens, I myself agree with that as you just get a sense of freedom and controls with smaller handsets that you just don’t get with phablets. Also considering that most people use cases on their phones, it becomes all the more difficult to handle. The OnePlus X manages to hit that sweet spot and handles really well and fits well in your hands. It isn’t the smallest 5 inch handset out there but it is still tiny compared to most smartphones launching these days. It is quite slim and light as it measures 6.9mm and weighs 138 grams only despite having a lot of metal and glass in its construction. The ceramic version will be a bit heavier at 160 grams. Due to the good weight distribution, you really don’t find the device to be heavy. However, the issue is with the back panel which gets quite slippery especially if your palms are sweaty or wet and I have had the phone slip from my grasp a few times. Luckily, I managed to hold onto the phone before it fell. It is quite a fingerprint magnet, which means you’ll likely be wiping it clean all day to make it look good. The glass is also quite prone to scratches unlike the front glass panel which appears to be tougher than the one at the back and we haven’t had any scratches on that yet. The back panel is non-removable on the OnePlus X while the user could replace the back panel or cover on the OnePlus 2 and OnePlus One respectively. However, they are offering optional cases with similar materials such as Sandstone, Karbon (which essentially is like the Kevlar back for OnePlus 2), Rosewood, Apricot and Bamboo. There is also silicon cases that come in White, Black, Blue and Red colours. At the front, there is a 5-inch display that takes up most of the real estate. 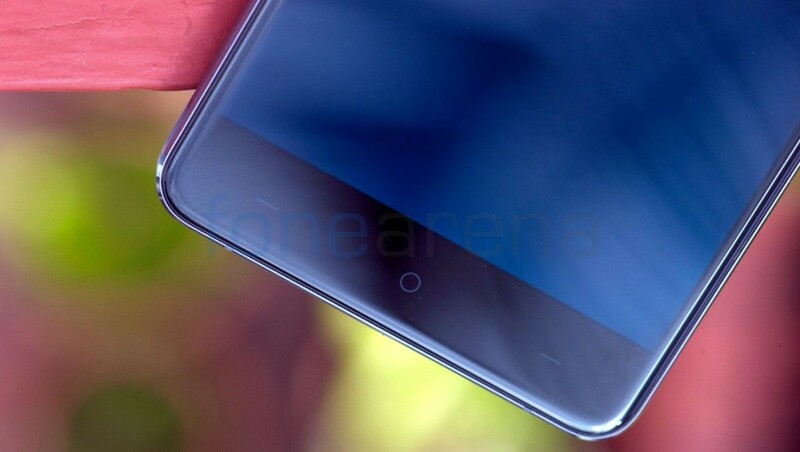 Above it, you have the 8 Megapixel front-facing camera, the earpiece as well as the ambient light and proximity sensors. Below the display, you have the set of 3 capacitive buttons. At the right side, you have the volume rocker and power button. While they provide good haptic feedback, their positioning does seems bit off. We would’ve liked to have the power button above the volume rocker button as that is where our hands seem to rest by default. However, luckily, you do get used to the positioning after a day or two of use. Above the volume rocker, you also have the hybrid dual nanoSIM slot. At the left side, you have the 3 stage alert slider that can be used to control the notifications. You can choose between all notifications, priority notifications or no notifications at all. At the bottom, you have the micro USB port in the middle along with two sets of grills on either sides. The left grill houses the speaker while the right grill is a dummy to maintain the symmetry and actually houses the primary microphone. You also have the antenna cutouts here. The top houses the 3.5mm audio jack and the secondary microphone along with the antenna cutouts. At the back, you have the 13 Megapixel primary camera with LED flash at the top left corner. 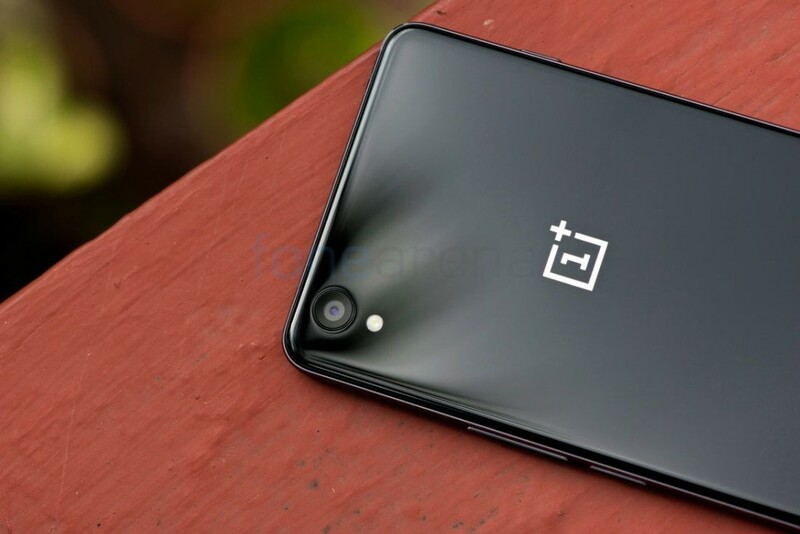 Below it, you have the OnePlus logo in a silver finish. At the bottom, there is some regulatory information as well but they have made sure that it doesn’t standout and ruin the look of the phone. You will be able to see it only when you look carefully. For the first time, OnePlus has gone all out and fitted an AMOLED screen onto their devices. While the OnePlus 2 display was a step in the right direction as OnePlus decided to focus on brightness, colour, viewing angles etc. instead of just sheer resolution, the OnePlus X is where they truly did it right. The OnePlus X has a beautiful display that looks great in all environments, be it indoors or outdoors. The contrast levels are great as you would expect from an AMOLED display due to the true blacks. The colours are quite vivid without risking being too artificial. The viewing angles too are great and there is no change in colour unless you are looking at the display at nearly zero angles. The sunlight legibility is good but is slightly impaired due to the reflective glass but is still better than most smartphones. Like we mentioned earlier, the Corning Gorilla Glass 3 does a good job at protecting the device from scratches up front even though we can’t say the same about the back. 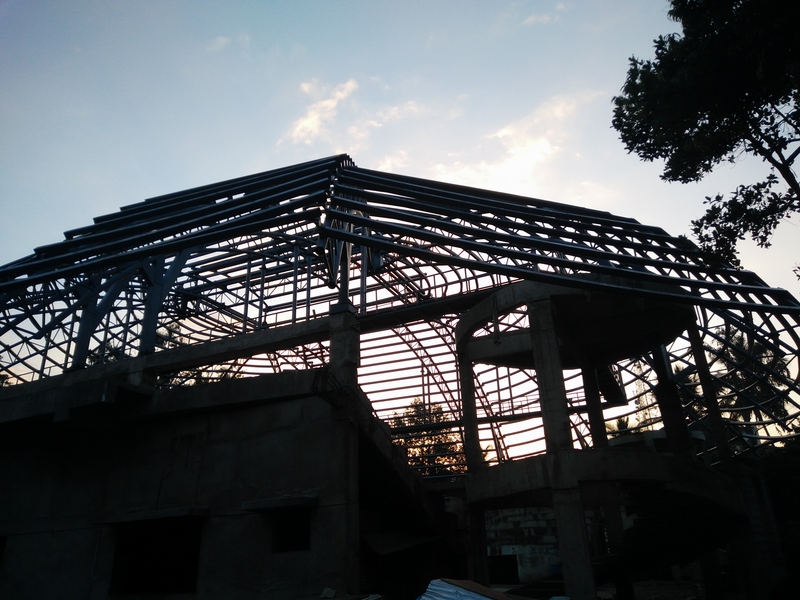 The 2.5D curved glass is wonderful to use and it feels better than most other 2.5D glass implementations that we have seen. The three capacitive keys below the display do provide haptic feedback but don’t have back-lighting which is a shame considering most handsets in this price range do come with back-lighting unless they opt for on-screen keys. With the OnePlus X as well, users can choose between on-screen or physical keys for navigation. They can also swap the positions of the return and multi-tasking buttons based on their preference. There is also an option to keep the capacitive home button turned on even when using on-screen keys. 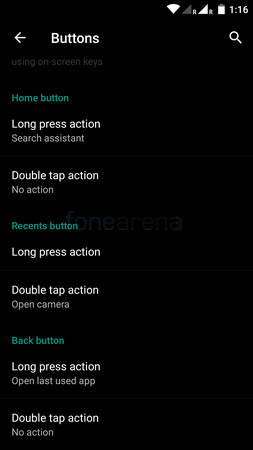 You can also set shortcut actions for the capacitive keys and specify what has to be done in case of long press or double tap. So you can have two commands for each key. 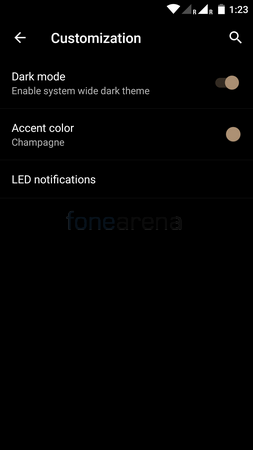 There aren’t any display modes to choose from nor can you adjust the colour temperature. 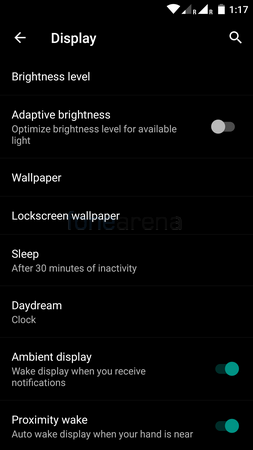 You can wake the device from sleep either by pressing the power key or by double tapping the screen. Users can choose to enable ambient display which will automatically turn on the screen when you receive notifications. This is quite a useful feature and can save you time since you don’t have to manually wake up the device every time to see if you have any notifications. However, it can be quite annoying if you are someone who constantly receives messages on WhatsApp etc. for example. Lastly, there is also a proximity wake feature that makes the phone display the time, date and notifications when you bring your hand close to the device. This makes use of the proximity sensor and is quite useful if you use your mobile phone to tell the time for example. There is an LED notification light at the top right corner above the display. 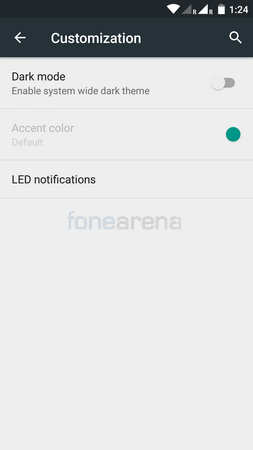 It is quite small but is bright enough to notify you on any notifications when needed. It is an RGB LED that can light up in any colour and you can customize the colour you want it to light up in the settings. You can further customize the colour for each app within the app settings itself. The call quality is quite good on the OnePlus X over both earpiece as well as loudspeaker. Loudness is quite good on the earpiece but we felt that the loudspeaker was a bit feeble at times. The dialpad is large and easy to use. 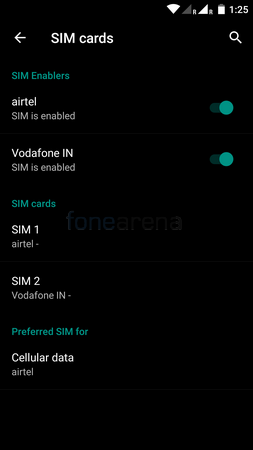 It allows you to quickly choose which SIM to place the call over in case you are using two SIMs. 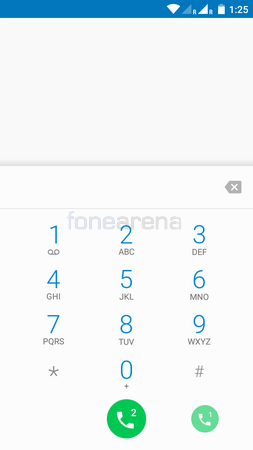 You can also specify which SIM to use for calling, messaging and data by default. You could also choose to set the phone to ask you which SIM to use for calling each time. 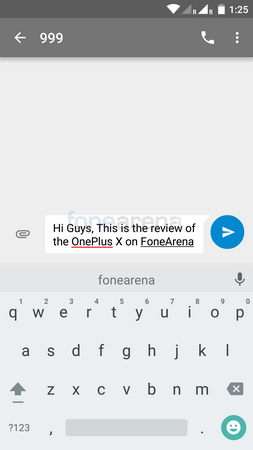 The OnePlus X comes with both SwiftKey as well as Google Keyboard. While setting up your smartphone, you can actually choose which one you would like to use. You can also change your keyboard of choice later on from the setting if you wish to do so. We chose to use Google Keyboard as it is often the fastest and easiest to use and easily comparable across devices. Besides, SwiftKey does slow down many devices especially if you have their server features turned on. The OnePlus X comes with Android Lollipop 5.1.1 out of the box with Oxygen UI 2.1.2 on top. 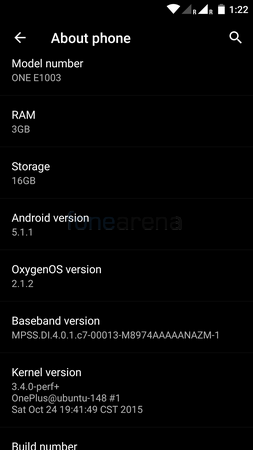 The phone should get Android 6.0 Marshmallow as well but OnePlus hasn’t specified when we can expect the update. The overall look and feel of the UI is still very much stock Android and as a result the device is very smooth. 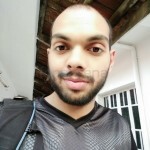 However, there are still quite a few unique features that OnePlus have added to make your experience better. For starters, there is a Dark Mode that you can enable for the system or choose to disable it. (NOTE- We aren’t sure if the update to Android 6.0 Marshmallow will remove this feature or not since Google have chosen to remove it.) You can set the accent colour of your choice as well. Next up is gestures which are basically screen off gestures that you can do when the phone is sleeping. Double tapping the screen will wake the phone up. Drawing an O will open the camera and a V will toggle the flashlight. You can also control your music using gestures. All these gestures can be turned on or off individually or all at once. 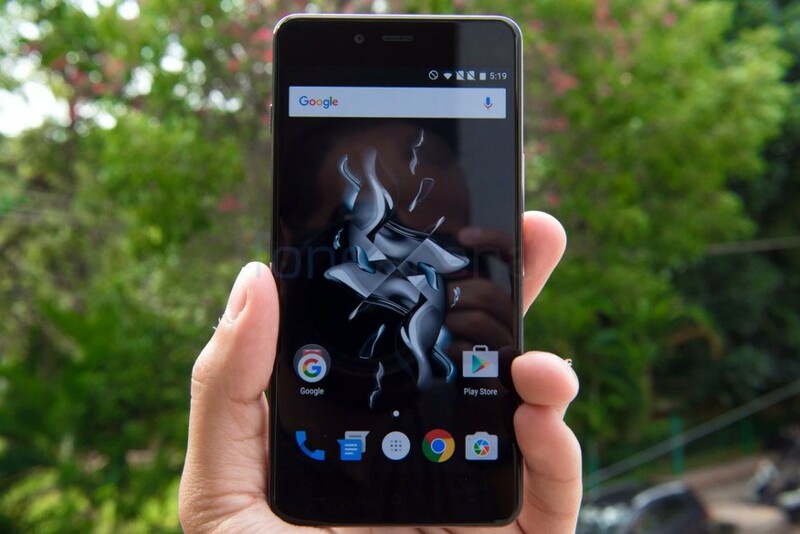 The OnePlus X is the first smartphone from OnePlus to have a microSD slot. The OnePlus One had either 16GB or 64GB capacities and came with a single micro/nanoSIM slot. 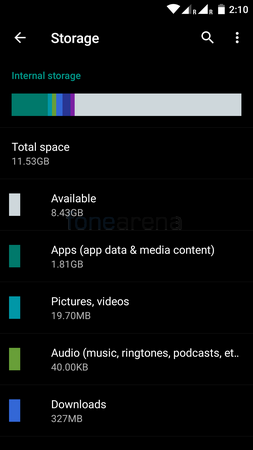 The OnePlus 2 added dualSIM ability but came with either 16GB or 64GB capacities as well. The OnePlus X on the other hand comes with a single 16GB storage option for both the Onyx and Ceramic versions but it has a hybrid dual SIM slot. It can either take two nanoSIMs or one nanoSIM and a microSD card. It accepts microSD cards upto 128GB in capacity. 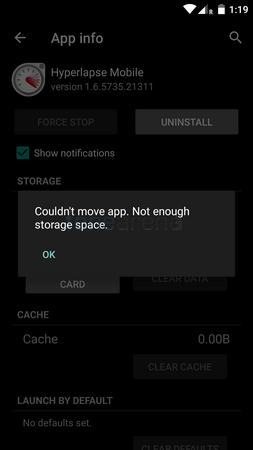 Users can move compatible apps to the SD card as well but as of the date of writing this review, that function doesn’t seem to work well and we keep getting this error message (screenshot below). This however should be solved in the future with a firmware update. The phone has 4G LTE on both the SIM slots however only one SIM can be on 4G at a time while the other will be on 2G. 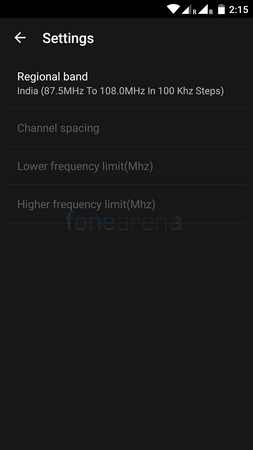 It does support both Band 3 (1800MHz) and Band 40 (2300MHz) in India. 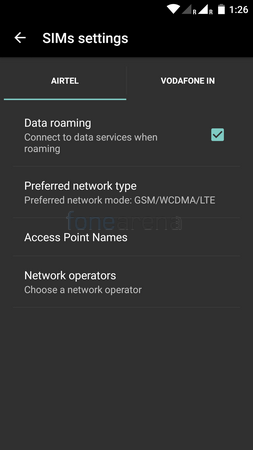 The European and Indian variants seem to have the same bands while the American variant has different LTE band support as well as a different model number. In terms of connectivity, the smartphone has a micro USB port and not a USB Type-C port like on the OnePlus 2. This could be a negative or a positive based on how you view it. There is Bluetooth 4.0 as well as WiFi 802.11 b/g/n. Unfortunately there is no support for Dual-Band WiFi nor ac standard which is a shame for a phone at this price range. The phone does support USB OTG (on-the-go) as well but you need to enable it within the storage settings first to use it. 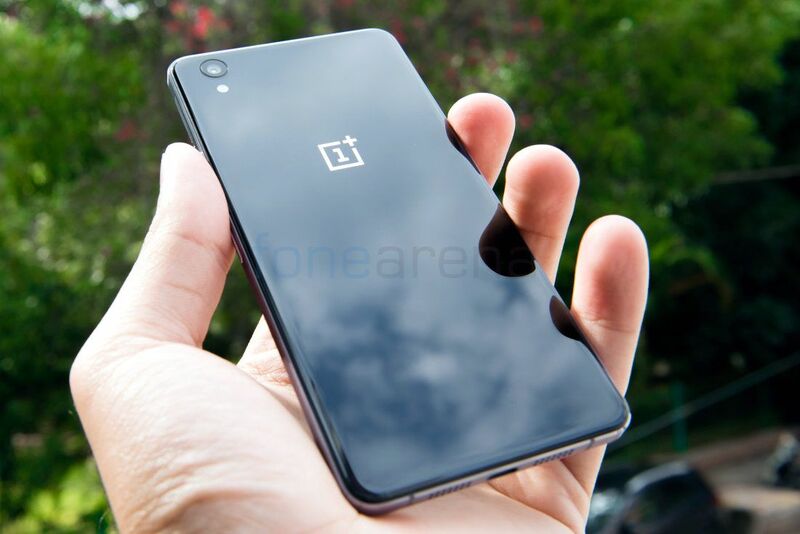 The smartphone packs a Snapdragon 801 processor as well as 3GB of RAM which is the same combination used on the OnePlus One. 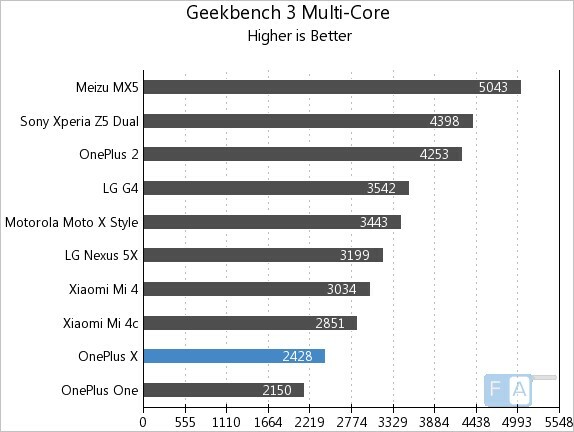 In terms of performance too it doesn’t really stand out compared to most smartphones that have come out this year as they pack more powerful processors. In terms of Benchmarks, the device performed decently but not great but the real life performance is good enough. The phone runs smoothly at all times and the main thing to state is that there is hardly any heating even when charging the device. 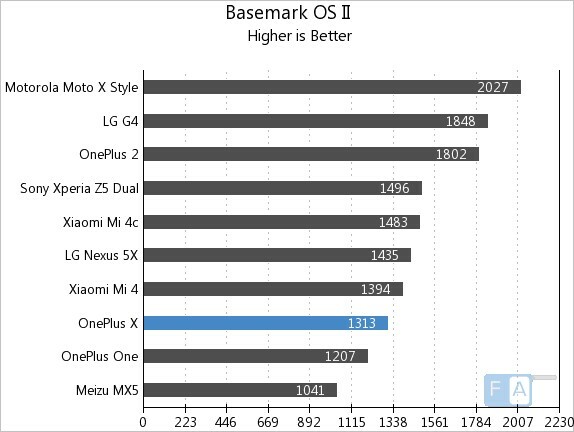 You can see a few of the Benchmark scores below but for a full list of benchmarks, you can check the following article. It scored 4.5/5 stars in our gaming review. Check out the gaming review video to know more about the gaming performance of the smartphone in detail. 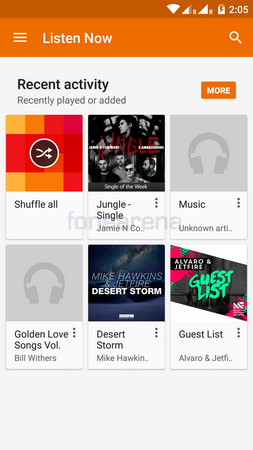 The default music player on the OnePlus X is Google Play Music. There’s nothing different about it compared to the one on other devices. You can access both your online as well as offline music through it. You can group your songs based on the album, artist, genre, song title etc. The now playing screen shows you the album art, track title, artist, track controls such as play/pause, seek/skip and a scrubber. You can also set the shuffle and repeat modes and vote a track up or down. 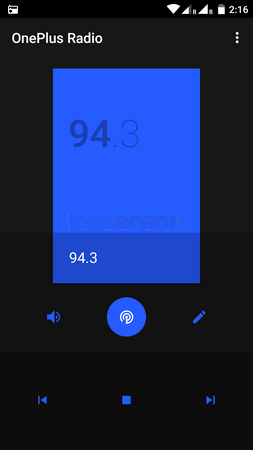 The device supports FM Radio and there is a built-in app called OnePlus Radio. It has a majorly black UI with various colours that keep changing when you change the radio stations. You need to connect a pair of headphones/earphones in order to listen to the radio. Once connected, you can either choose to listen to the radio over the headset or over speaker as the headset functions primarily as the antenna. You can choose your regional band in the settings and use the seek button to automatically find the radio stations. You unfortunately don’t have the option to scrub through and fine tune frequencies yourself and there is no timer option. But you can save your favourite radio stations by different names. Audio quality is quite good over headphones/earphones. The dynamic range is good and so is the volume of output. There is barely any stereo crosstalk or distortion at the highest volumes either. The loudspeaker too is decent in terms of quality but can have distortion at higher volumes and the volume too seems insufficient at times. The placement of the speaker is good however as the audio doesn’t get muffled if you place it on a flat surface for example. 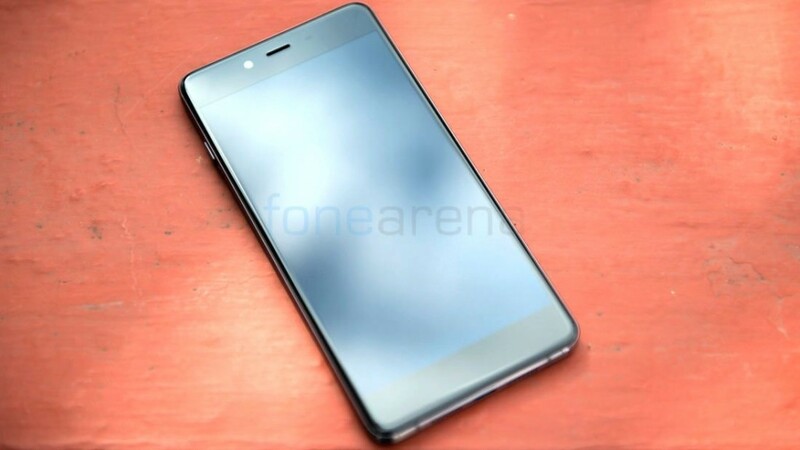 The OnePlus X has a 13 Megapixel primary camera with an ISOCELL sensor, LED flash and maximum aperture of f/2.2. 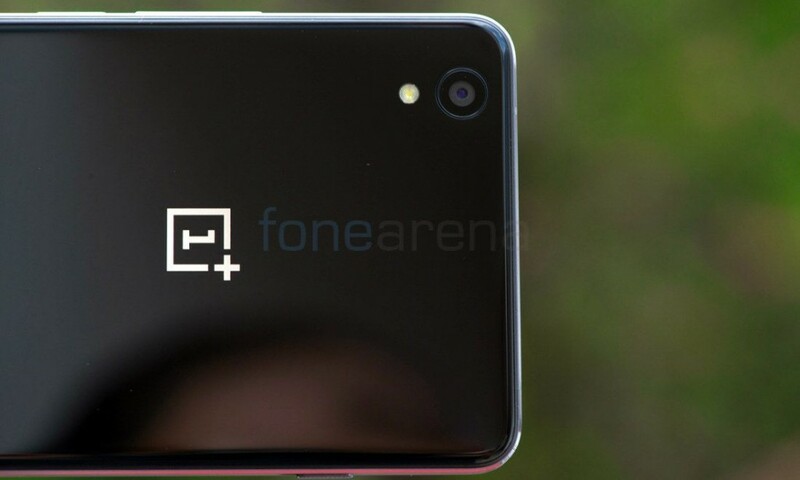 The front camera is an 8 Megapixel unit with a wide-angle lens and f/2.4 aperture which bests the OnePlus 2’s front facing 5 Megapixel camera in terms of resolution. The primary camera takes good quality photos in well-lit conditions and has good white balancing as well as colour output. 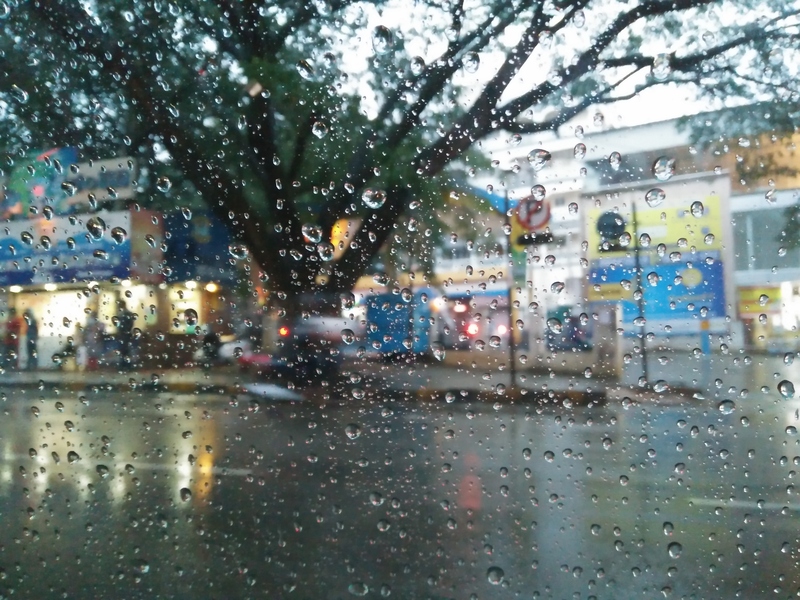 The autofocus is quite fast and despite the lack of OIS, the images do come out quite sharp when taken in normal mode. In the Clear and HDR modes, however, you do have to hold the phone a bit steady since they take longer to capture but it is still pretty fast and most instances were free from ghosting. The dynamic range is quite good as it is but the HDR mode takes it a step further. Sometimes, in normal mode, the highlights are blown out or the shadows are too underexposed. By metering on the right object, HDR is able to provide a better dynamic range and solve that issue.There is good detailing even in the shadows and sharpness is spot on. There isn’t much noise if there is proper lighting however when it’s dark, the noise does tend to creep in. However, it is more or less on par with other devices in this price range itself. You can click on any of the images below for a full resolution sample. 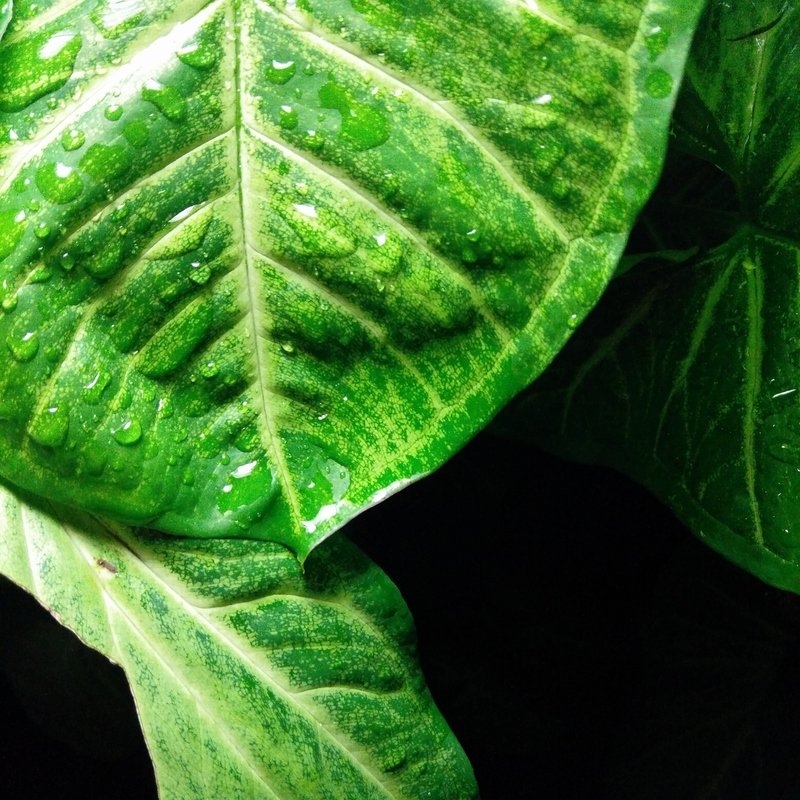 For a full set of camera samples, you can check out our camera samples post here. 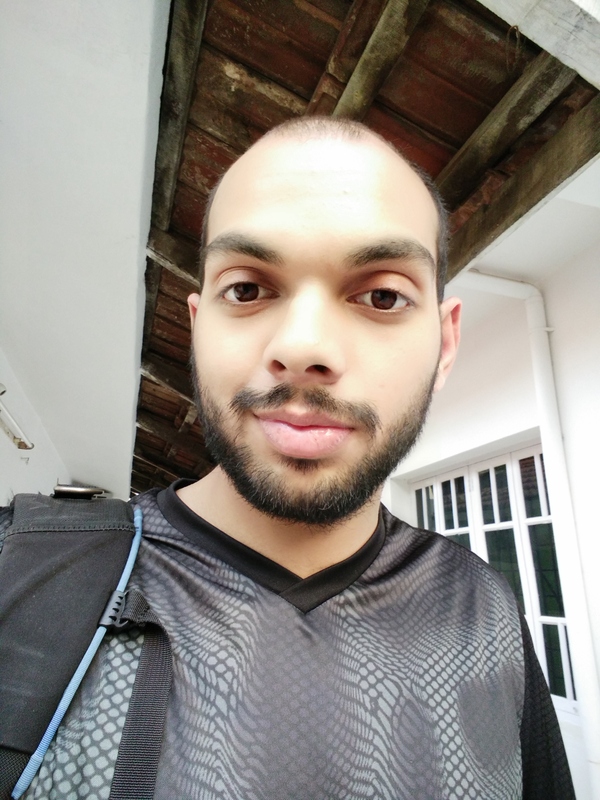 The front facing camera on the OnePlus X is an 8 Megapixel OmniVision sensor. The quality of the images are quite good as it has good detailing and sharpness in well-lit conditions. The colour reproduction and white balancing too are spot on. 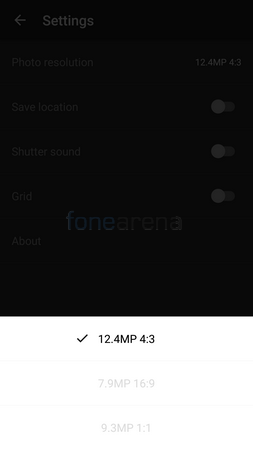 The downside is that the front facing camera has a smaller aperture of f2.4 compared to the main camera which itself has only an aperture of f2.2. This means you’ll have to hold the phone steady for longer when taking photos in low light conditions. On the flip side, it is good to see that the noise levels are kept quite under control whether it is in well-lit or dimly lit conditions. 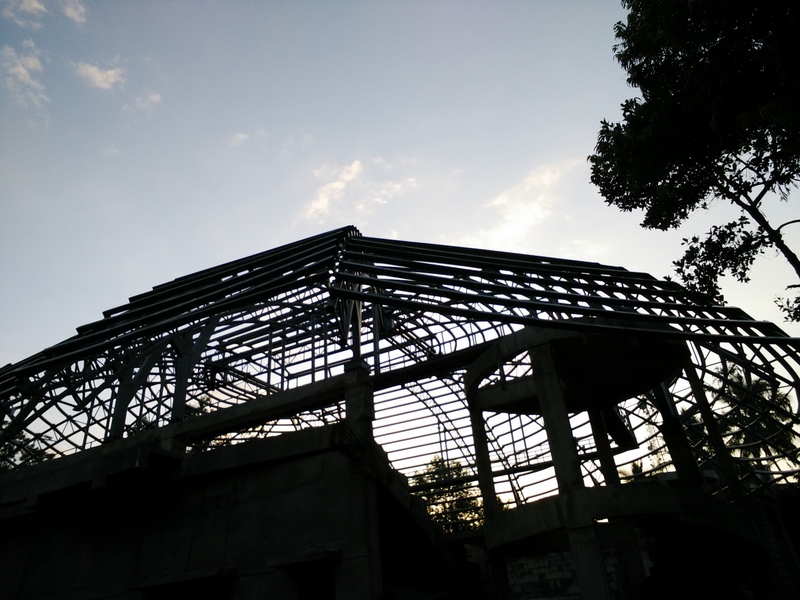 The two images below are shots of the same scene using the front facing camera and the rear camera. The one at the left is the front facing camera while the second was taken using the primary camera. As you can see, the quality is pretty good on the front snapper too and the main differences are in terms of dynamic range and the sharpness. Nevertheless, the front facing camera puts up a good fight. 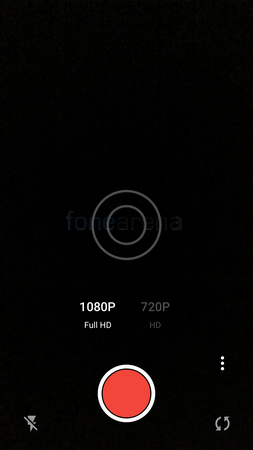 The video recording on the OnePlus X maxes out at 1080p resolution at 30 fps which is weird since the OnePlus One which is also powered by a Snapdragon 801 processor could record 4K videos easily. The 1080p videos captured on the OnePlus X are good in terms of detailing and sharpness but the main drawback is the shaky effect due to lack of OIS. The colour reproduction and white balance are good as well but we hope that in the future, an update comes out that enables 4K capture. The camera UI on the OnePlus X is very similar to the one on the OnePlus 2. You have the shutter/record button at the bottom or right side based on whether you are holding the phone in portrait or landscape orientation respectively. 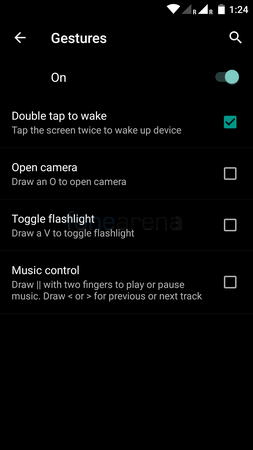 There are toggles for the flash, timer, options and the camera toggle as well around it. The camera supports touch to focus and the user can then adjust exposure and lock it using the circular focus ring. Flash can be set to off, on or auto. Timer can be set to off, 3, 5 or 10 seconds. 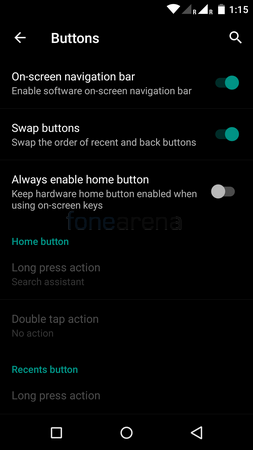 The options key brings up relevant settings for each mode. 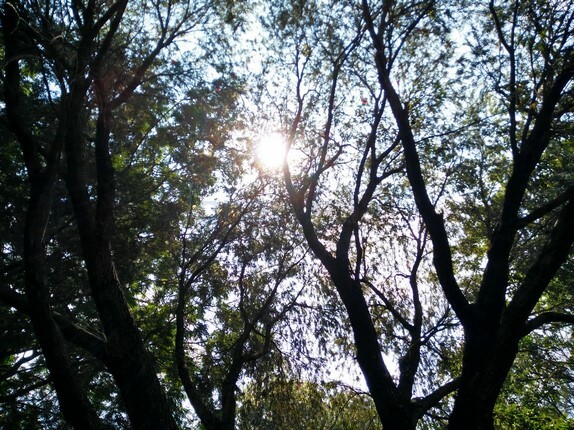 In the camera mode, users can choose to enable HDR, Clear Image or Beauty. If none of them are selected then it captures in normal mode. In video mode, you can choose between 1080p and 720p video resolutions. 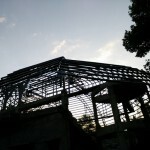 The various modes available are Time Lapse, Slow Motion, Photo, Video and Panorama. 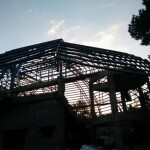 Photos can be taken in 3 aspect ratios. 4:3 mode is the default and the images are captured at 12.4 Megapixel resolution. 16:9 images are captured in 7.9 Megapixel resolution and 1:1 images are captured in 9.3 Megapixel resolution. You can also choose to enable/disable shutter sound, location and a grid that will help you frame your shot better. The OnePlus X is fitted with a 2525 mAH battery that is non-removable. 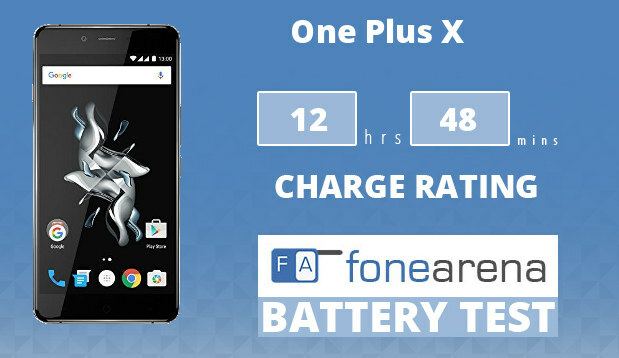 The OnePlus X got a one charge rating of 12 hours in our battery tests mainly due to the brilliant talk time. 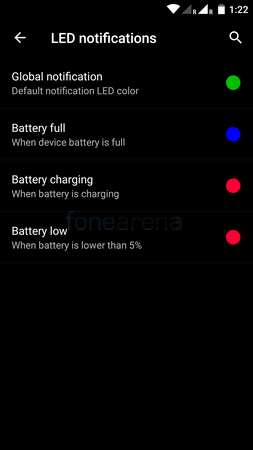 For the full fledged battery life test report, do check out our post here. The charging socket is a microUSB port so just about any of your chargers and cables lying at home should work with it. Although the OnePlus 2 is the flagship in the current lineup of device from OnePlus, it still followed many of the trends set by the OnePlus One and while that is fine for any other company, it isn’t what people expect from OnePlus. For a company that has Never Settle as their slogan, people expect more and that is what they have done with the OnePlus X. The smartphone is probably their boldest move yet, at least when you look at this year. 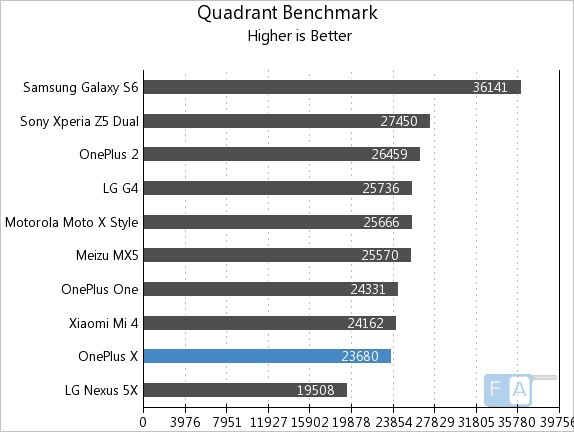 In terms of design and build quality, the OnePlus X easily bests its bigger brother, the OnePlus 2 which is a testament to their craftsmanship. The screen too is beautiful and the phone packs quite a lot of performance into a small form factor. Yes, the processor is a bit dated but there are plenty of people out there who still buy a OnePlus One which also has the same processor. But there are many who shy away from the device largely due to the size and the OnePlus X will definitely try and bring those people back in. Is this is a smartphone without any negatives? No it isn’t but it is worth the asking price of Rs. 16,999.